Honey and cinnamon have antibiotic properties. The face pack is effective and easy to prepare. Costs much less than over the counter blackhead removers. Acne, one of the most common skin conditions, troubles almost everyone during their lives. It has various forms of lesions commonly referred to as pimples, spots, whiteheads, or the unpopular blackheads. Blackheads are dark lesions as they contain oxidised melanin, the pigment which helps your hair get their black colour. Because they look uncool as they take away the natural glow and charm from the skin, completely ruining your look. Having a couple of blackheads could be fine but too many acne really look ugly and unhygienic. Moreover, they occur mostly on the face apart from neck, shoulders and rest of the torso. So how do you get rid of these ugly blackheads? You can either drill a hole in your wallet for the expensive blackhead removers available over the counter or you can seek refuge in the amazing capabilities of honey and cinnamon. Blackheads generally occur when hair follicles become clogged with impurities such as oil, dirt or dead skin cells. When the melanin present inside the pores comes in contact with air it turns black after oxidation. Can honey help in getting rid of blackheads? Honey offers natural antibacterial, antiseptic and antibiotic. Being sticky in nature allows it to pull dirt from skin pore. So it can naturally peel off blackheads from the skin, while moisturising the skin at the same time. And the best thing about honey is its low pH levels of 3.2 to 4.5 which is far too low for bacterial growth that can cause acne and blackheads. Here is an effective homemade honey and cinnamon face pack to easily get rid of blackheads. Adding cinnamon with honey for you DIY facepack is a great choice as cinnamon has antimicrobial properties that helps remove dirt from pores and gently removes excess sebum on the skin’s surface to remove and prevent blackheads. 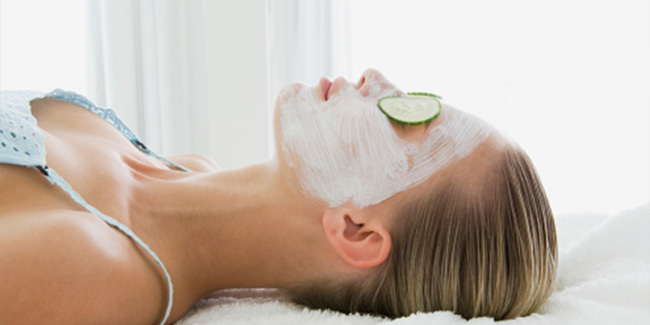 To prepare the face pack add a teaspoon of cinnamon powder and 3 tablespoons of honey to prepare a thick paste. Gently apply a slightly thick layer of the paste to the affected area. Let the paste stay on for 40-45 minutes. Rinse the paste off with warm water. You will notice fewer blackheads after even a single use of this face pack; however, to remove all the face packs you would need to repeat it often, as and when you notice blackheads on your skin. To prevent blackheads from returning make it a habit to wash your face frequently with a gentle face wash. Also avoid unnecessarily touching your face as the dirt and bacteria from your hands may trigger bacterial growth on the skin.